Proximity is one of the most highly anticipated surf movies to launch in 2017. Presented by Taylor Steele, Proximity is described as “a visceral portrait of modern surfing”. The film follows eight of the best surfers in the world as they tour the globe searching for the best waves in new and exotic locations. Four of the surfers are legends of the industry and four up and comers, and the cast list includes such luminaries as Kelly Slater, John John Florence, Shane Dorian and Albee Layer. Also Stephanie Gilmour, six-time women’s champion, plus Rob Machado and Craig Anderson. Taylor Steele himself has been named one of surfing’s “ten most influential people”, and he brings decades of experience to this project, and a unique viewpoint aimed at challenging the public’s perception of surfing as an art. Corona, the title sponsor of the 2017 Corona Open J-Bay, opened their spiritual home, Casa Corona, last week to play host to various events and parties, including the official WSL press conference at which Jordy Smith and John John Florence sat. 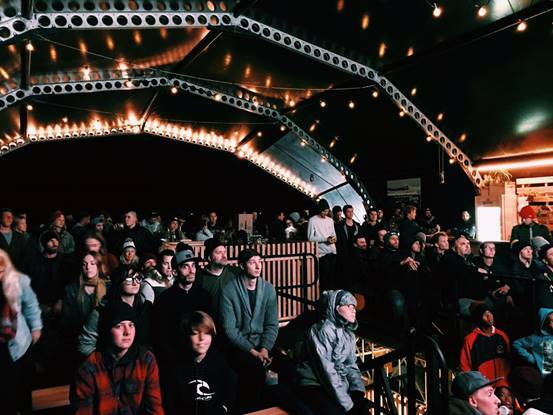 This venue also played host to the first ever SA screening of Proximity last night, and it was one of the absolute highlights, outside of the obvious surfing ones, of the WSL 2-week calendar of events.